Self storage in Knowsley is something you might want to consider if you’re about to move to a different house. Most modern homes do not have adequate storage space, especially in big cities. But it’s only natural for anyone to accumulate ‘things’ over a period of time. It is usually while you’re about to pack up and move that you realise you’ve got so many things. When you’re not sure where to pack or place extra items, it can create a lot of stress. But not so with Terry Lunt Storage solutions. We specialise in performing removals and providing self-storage services. If you’re planning to move in Knowsley, self storage solutions are around the corner. At Terry Lunt Storage, we have multiple sized storage spaces to suit your needs. Our self storage units are secure and safe for the storage of your personal belongings. You can store your items here without worrying about theft or damage because our premises are under 24 hours CCTV surveillance. Our storage are well lit, clean and always secure. Our trolleys and trucks are available for your use, free of charge, to maneuver your goods within the storage unit. To expedite your storing process, we’ve also got a wide range of packing materials available. So whether you have an endless stack of books and magazines that you’d like to store, or a lot of clothing, our storage units are the best equipped places for your items. If you’re moving from your home, performing essential renovations, de-cluttering or downsizing your living situation, self storage in Knowsley is an excellent solution. 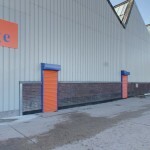 Contact Terry Lunt Storage to day for more information about our available storage units. Our friendly and professional team are always available at the storage facility to help you out. In addition, we have storage units of various sizes, ranging from 25 ft. to 200 ft. This is because we’re aware that everyone has different amounts of ‘stuff’ they’d like to put away. Our prices are competitive and incomparable. Give us a call to learn more!